Are you one of those people who want to know how cars work but can’t figure it out? Maybe your knowledge doesn’t span beyond tires, the engine and steering wheel. Or maybe you consider yourself something of a handyman and know your way around your car’s inner-workings. The average car is made up of 30,000 parts, and many of them aren’t easily visible. Understanding some of technology behind your vehicle can make your next repair a lot easier, or at least impress your mechanic the next time you have to take your car to the shop. 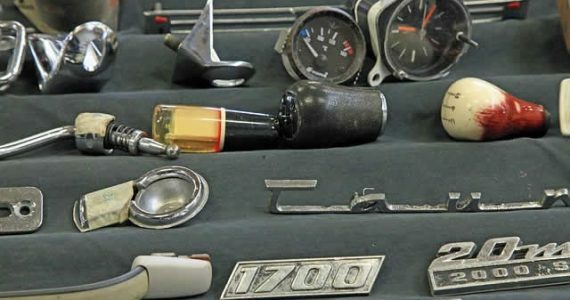 Let’s get under the hood and take a look at these three lesser-known car parts. Camshafts open and close your car engine’s valves to let air and fuel in and let exhaust gas out. These rotating metal parts use lobes called cams to apply pressure against different valves. A lack of oil or other damage to the area could cause them to malfunction, but for the most part, you can expect your car’s camshaft to stay up and running. Often referred to as simply a turbo, this part of your car forces extra air into the combustion chamber to increase your vehicle’s internal combustion and power output. The purpose of a turbo charger is to increase your engine’s efficiency. Not all cars have turbocharged energy, so you should keep your eyes out when shopping for a new model. Turbocharged engines are more fuel efficient, but that doesn’t necessarily mean you’ll save more money on gas. It really depends on how you drive and what speed you average. Air pollution is a major problem across the U.S., especially in large cities with constant streams of heavy traffic. In order to cut back on the amount of pollutants being expelled from vehicles, the catalytic converter was created in 1975. The part’s sole purpose is to filter harmful toxins from a car’s emissions before they’re released. While small and simple, the catalytic converter makes a major contribution to our well-being. Some people are natural car buffs while others are just curious tinkerers. Learning more about your vehicle online or from an experienced professional is a great way to maximize its personal value to you and help you better understand how you can utilize it. Read guides, check out YouTube videos and pop open your own hood to take a look around and learn the ins and outs of your vehicle. Soon, you’ll be discussing cars like a pro.